Jordan Banana Foodservice is one of Pittsburgh’s leading food service suppliers, as well as commercial kitchen equipment. As a family run and owned business, we provide our customers with thousands of products including fruit and vegetables, dry goods, frozen and refrigerated products. Soon we will be set up as a commercial kitchen equipment broker and will be able to provide premium quality kitchen equipment and supplies. From offering your customers the best food supplies available, to preparing foods professionally and presenting them in style, we can help you do it all. Over the years, customers have grown to trust in our flexibility, reliability and outstanding customer service. They feel confident about the strong relationships we have with our own network of industry-leading suppliers. Our team understands the importance of supplying and distributing products of the highest quality, and we deliver six days a week within a 100 mile radius of Pittsburgh PA.
Our fleet of temperature-controlled vehicles ensures your order gets to you fast, fresh and in perfect condition. Our quality assurance teams also check over every item before it is loaded onto our vehicles and sent out for delivery. 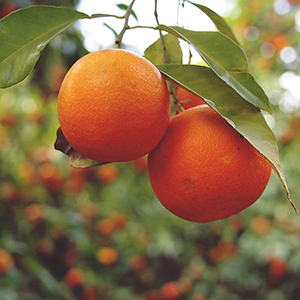 Attention to detail, excellent customer service and outstanding value for money make us the trusted produce supplier for hundreds of customers in the Pittsburgh area. When your reputation relies on the highest standards in quality and taste, place your order with the Jordan Banana Foodservice. Our first consideration is always your satisfaction, and that is why we take our time to select the products we offer from some of the leading supply chains in the industry today. From pancake mixes to fresh fruit and vegetables, and frozen meat to pizza boxes, you can trust that our products will take good care of your customers’ needs and keep them happy. It couldn’t be easier to place your order. Sign up for an account and place your order with us instantly. We will get to work right away and aim to deliver your order quickly. Thanks to our fast delivery times and wide distribution area, we can help you to replenish your stock and keep your business running like clockwork. When you are looking for that one-stop shop for fresh produce, dry, frozen and refrigerated goods and kitchen supplies, come to the Jordan Banana Foodservice. Call us at 412-469-1007 or open an account today and order what you need 24 hours a day, 7 days a week. 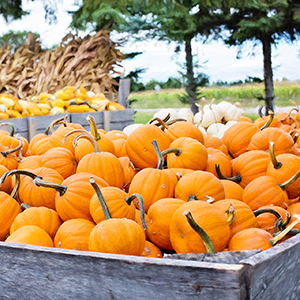 Will the Great Pumpkin Shortage of 2015 Impact Your Business? When fall rolls in, so do the pumpkin recipes and requests..